When I was young and told the other children at school that one of my ancestors came to America from the Mayflower, they looked at my almond-shaped eyes, my long black hair, and laughed. They elongated the word “Chinese” for extra emphasis and I remember the fierce burning in my cheeks, embarrassed, but also confused. My family had found veritable proof that we were descendants of a man who boarded the Mayflower and had made it to America in 1602. I didn’t understand why the other children didn’t believe me. Later that day, I told my best friend, Maria, of my Mayflower ancestor. As a loyal best friend should behave, she did not taunt or berate me with questions like the others. It was an honest statement and was not intended to hurt my feelings, but her words rang in my head as I walked home from school. “Adopted.” I had always known that I was adopted, but my adoptive family was the only family I had ever known; I assumed that it was clear I was now part of that lineage, biology and DNA aside. But that day, I became unsure if I had a right to connect myself to my parents’ biological predecessors. Then where did I belong? For the first time, I felt like an immigrant in my own family. Because of the dreaded Mayflower fiasco, I had lost interest in questioning my parents about our lineage for I wasn’t even sure if “our” was supposed to be “their.” I stopped paying attention to what the family had been and decided that, like other immigrants before me, I would forge my own path in the world and write my own history. When I reached college, I decided to join Leviathan Jewish Journal as an artist and soon was promoted to the position of Art Director. My mother’s family had been Catholic and I had attended Catholic Church all my life. The only experience I had with Judaism was a brief exposure to a dreidel at a friend’s birthday party; there was no particular reason for me to choose Leviathan, but I longed to change my direction to something new. I became dedicated to the publication and appreciated the people in the organization. I produced content issue after issue for several years, learning about Jewish culture, perspectives, and current events until I decided to take a class focused on Jewish writers in New York to add to my insight. One day we watched a documentary in class that showed the thousands of Jewish immigrants who had poured into Ellis Island between the late 1800s’, early 1900s to escape the atrocities spreading across Europe. As I detailed the history of the film to my father that night on the phone, he said, “You know, my grandparents were Jewish immigrants who went through Ellis Island, too.” I nearly dropped my phone and began to press him for more details, but paused. Maria’s words reverberated in my ears and I hesitated. I was the adopted kid, the immigrant child who didn’t have a blood connection to anyone my father was talking about. Inside my head, I weighed the pros and cons. On one hand, I was intrigued, wanting to learn more about the family history for the first time in years. On the other hand, was the Mayflower fiasco. I decided to take a leap and ask. My father only had a few bits of information about his grandparents, but he knew that his grandfather, Samuel Teplitsky, came over by boat from the Ukraine in 1902 because, as a Jewish man, he was in danger from the pogroms that targeted anyone who practiced Judaism, or had a Jewish-sounding last name. He had left behind his wife, Rebecca, in the old country, with the intention of bringing her over when he raised enough money. At Ellis Island, he went through the arduous and long immigration process, that to some, ended in heartbreak and tears due to a denial of entry into the new world because of a child with trachoma or a family member deemed mentally unstable. Fortunately, Samuel was successfully able to pass through and was suddenly on the streets of New York City. He took transportation to Chicago where he became a house painter and was lucky enough to be one of the few who made a decent living. 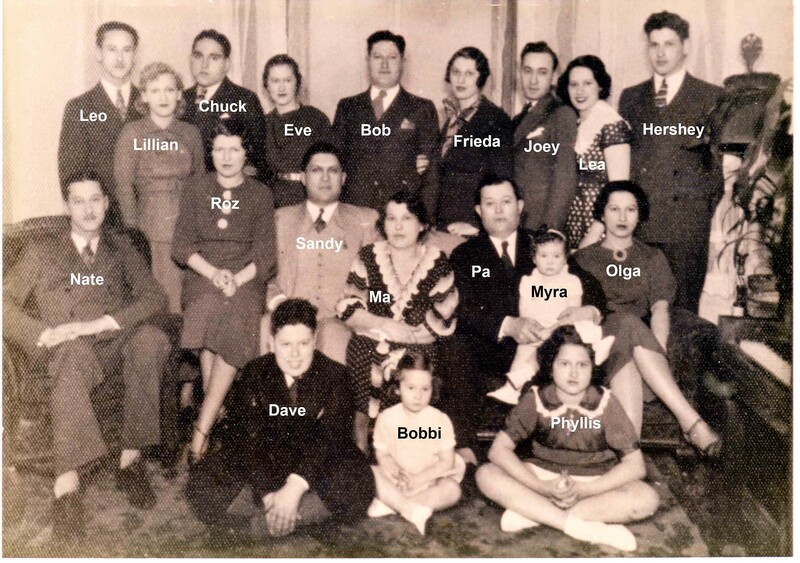 Rebecca came over to join him a year later and together they had 9 children, the youngest being my grandfather. Years later, my grandfather had my father and aunt. “Then your mother and I adopted you,” my father finished. That night, I went over and over what little information I had received, trying to form an accurate picture of Samuel when he first stepped off the boat into America. Though I initially imagined him as excited and in awe of New York, I then thought of the reason he came to the country: escaping persecution because of his religion. Apparently, by the time he and his wife had their children, they no longer practiced and by the time my father and mother adopted me, it was as if any trace of Judaism had been erased. But then there was me, the little adopted Chinese girl who had sat in the front row of a Catholic church for her whole life, writing and taking courses on Jewish life and culture, picking up a couple Yiddish words, and attending Shabbat. Following a path to learning about Judaism without any prior knowledge of my family’s past religious practices just because I thought, I’m in college, now is the time to try something different and something new. But it turns out I was actually returning to something old and significant. I have almond-shaped eyes, long black hair, and was born in China. I have no recollection or any possible way to discover my bloodline or see the family I am biologically related to. All I have is my family here. People may point to my Asian features and question if I can truly call my family’s ancestors mine. And the answer is yes, I can. I am Chin-eeese and do not have a blood relation to the people above, but my family is built up of immigrants. We all came to America with the hope to find a happier life and a society who accepts us for who we are. It would be wrong for me to pretend that I have no relation to my ancestor aboard the Mayflower because that would mean not only was I not truly accepting who I was, I was not accepting my family members either.